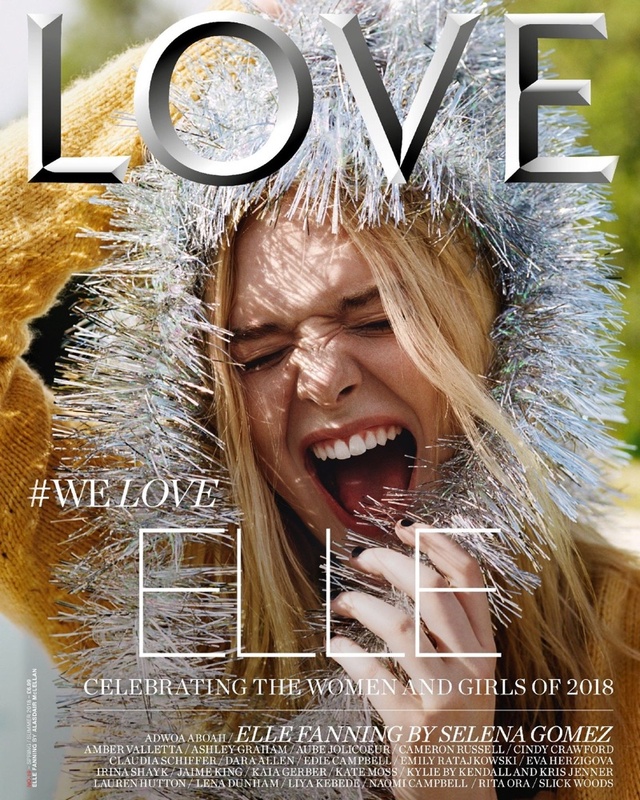 Elle Fanning turns up the shine factor for the Spring-Summer 2018 cover of LOVE Magazine. In front of the lens of Alasdair McLellan, the blonde beauty wears a yellow sweater with silver tinsel. For the accompanying shoot, Elle wears colorful looks with a whimsical twist. Stylist Katie Grand dresses the actress in chic knits, floral prints and denim for the sun-drenched snaps. In her interview, Elle talks about facing criticism in the entertainment industry.